I've been curious about the idea of 'the long walk' for most of my adult life and I've felt for a long time that if I was going to be able to choose a way to slip off the mortal coil, it would be walking alone, across the surface of Mars. My recent experiences hiking through Iceland expounded this. It was a long journey and was extremely tiring, I had to take joint flx to provide extra mobility and flexibility for my joints and I am now ready to start a plan of 600km hike across Jordan next year to bring me somewhat closer to that idea. Below is an extract I from my latest manuscript, Phenomena, where a character finds herself on Mars and on the Long Walk. I very much enjoyed writing this earlier in the year, and after recent experiences, thought I would share. The Philip Glass music compliments it well I feel press play as you begin to read...At the end is a short video I made in Iceland of my own Long Walk. She walks because she must. She walks because that’s her only escape. She walks because outside of the colony she can move beyond their psychosis. She walks across the crimson sea and she is able to be free. She walks across the red desert and she is beyond the cocoon of her body. She walks across the surface of Mars and looks to the universe for an answer. Away from all the people. Away from the ebb and flow of their souls. She walks and walks and with each step she’s a touch further away. A fraction beyond their clutch. Released from the pressure and all their unremitting sorrow. Their universal suffering. She walks and looks to the stars and hopes each second of each day that an answer will come. She walks and hopes that whatever that thing was that talked to her on that fateful day, wherever it came from, it will someday find its way back to her. To contact her again. Until then she is left to wander. Left to hold on alone between states of being. No longer human, but not quite yet something else. She’s beyond them but she cannot understand what she has moved on to. So, she walks. Because nothing. Because she might be the answer? Because she might hold some sort of key to the next stage of human evolution? Because she might help them understand the why and the what of it all? What all the suffering over all that time was for? Has been for? She didn’t ask for this, but now she has to bear it. She walks across the surface of the Red Planet. Where she can be alone. She walks to find that moment of clarity. A point where she is separate from the echo of their souls. She walks over the red rock and her helmet brings her breathing close. Its slow rhythm helps her, steadies her. Gives her something to focus on away from their surge. The conscious noise she has to endure. She walks away from their primordial beat. The thing in their inner brain that reaches out beyond all of their skulls with each electrical pulse that their grey matter emits. She can receive it now, but not tune it. She cannot hear their every thought, just the constant ebb and flow resonating in her heart. The universal thump that quivers her gut, tenses a muscle or electrifies the downy fuzz that creeps across her soft skin. It rolls and pushes and retreats and she can sink into it, let it wash over her and become part of it, but she can never control it. She cannot turn it off. She cannot stop it. She cannot halt the tide of their souls even after all these years and all her training with Joyce and Eto. All she has is distance. She walks until she’s far enough away not to feel them anymore. So she can sit and hold onto herself. So, she can take a moment in the red dusk. Watch the vermillion stone of this planet glitter in the orange hue of a sun 250 million kilometers away. Try to consider what happened. The thing that came to her that day through the Ether. That which brought her face-to-face with an unknown reality. Wrenching the valves of her mind open and setting forth the torrent of supernatural experience. Beyond human. Confounding a preternatural realisation. Something she had touched on all her life but could never quite grasp. That boy she had seen so many times when she had gone into her den. The little one that came to her and made her so afraid. He had found her at last and in that moment before the nukes came raining down, he bridged the gap. He talked to her in such clear words, leading her to something divine. The insight. An epiphany. A revelation of the justice of the universe. He held her hand amongst the stars and lead her to the horizon of time and space so they could look back to watch the new dawn, but she was ripped away. She walks to understand why in that moment she had to be pulled back to the awful reality of that room. Where the mutant threat hammered against the heavy door. Where women and men cried and screamed and all hope was lost as fire rained down over the earth. She had been taken to the edge of understanding and then dropped back into the pit of self. Then it was over and she knew she was different. They all knew something changed in her that day. She walks because she is no longer a single, solitary unit of consciousness. There’s suffering in the universe that she can see, throughout them all. Every single one that made it through their short trip across the stars and to the Red Planet. The universe pulled her up and confessed in a mighty cry that people are not alone with their fear. Each human stands hand-in-hand around the edge of the void, but the revelation came without context. Without any meaning. They all exist. They all suffer. She can feel every single one of their souls, but its purpose, the reason for it all never came. She walks until she can be still. Gaze over the scarlet ocean of rock of the barren desolate world that is so perfect for her. So welcoming with its nothingness. Just rock and peace. She walks to be alone for a moment. “Home.” she whispers to herself and looks at the ruby heavens above her. Focuses away from this version of reality and reaches beyond it, into the parallel space she has learnt to occupy. When she concentrates there’s a separation possible now. When she is able to escape their noise she can lift herself out of her body and find her soul without physical boundary in another place, and there she sees time differently. Time exists as a solitary unit through all points as a flat disc. In the Ether it simply is. She sees every moment of all existence as one fluxing vision. She looks at her piece of time and cannot help but feel a deep sorrow. The instant is there. Her conscious unit that represents every version of herself. Every moment that’s come and gone across the 20 years of her entirely individual experience, and it is alone. Alone to suffer with such awful sadness, unlike any other. Selfish in its rise from the pit of her stomach and overwhelming in it power across every inch of her being. A sorrow for her; the child, the teen, the adult. Selfish in the curiosity of her own suffering. The memory of a young girl struggling to realise and understand and come to terms with everything she is. Everything she has gone through and everything that is to come. “Why you? What did you do?” she asks, seeing her now. The 20-year-old woman looking back through her path across the stars. Through the ephemeral experience of her humanity that has sunk into and swam with everyone that has lived and survived the journey to their new home. “Were you ever really like them? Could you have ever really been like them?” she watches herself. The projection of her consciousness viewing the prison of her body before re-joining it. The brain and the mind coming back together to experience the foreign majesty of the Red Planet with all the primal handles of her physical being. Finding a moment’s solace in the thick benign colours, its utter emptiness. The weak sun slowly fading and setting across the horizon. Sucking with it an immense shadow across the planet’s surface. A moment here alone. Everything muted by the cosmic dance playing out before her. Its immensity drowning out that selfish sorrow just for a moment. All the fear and all the suffering, but the sadness never really leaves. Even when she has walked, there’s a curiosity for that lost person. The little one she once was, the teenager she recently left. For everything she could have been if it were not for the inexplicable circumstance through which she has had to endure. But she does endure. She sits and asks. “What sort of life is this?” there’s a terrible unfairness in the universe, she knows. She feels it every day because she can feel it in them. She looks up and sees it in the stars. The difference between their consciousness and the grandness of the universe. “The star lives and burns and dies. Why out of the two of us, must I be the one that feels?” She dips her head and closes her eyes, “I never asked for this.” Of course she never did. She never asked to be born into the MIST at the end of the world. She never asked for a mother that couldn’t bear a version of reality she felt she would never escape. She never asked for a father that tried so hard to love her but would never get over the loss of his one love and in that, forever be reminded of her in his daughter. She never asked to be abandoned by a mother that felt she’d had something stolen from her in her own daughter. She didn’t want to be left alone by the person that should have cared, exactly at the time when she needed that care the most. Left in the white of the MIST when she needed to be held in loving arms. Those arms failing when they should have found resolve, understood their duty, pulled together the strength to help carry her. To absorb her and ensure she knew she was loved, but they were lacerated. Bled dry and left to the eternal cold. She pulls herself up after the sun has set, as the cold of the Martian night begins to wrap itself around her. She looks over to the colony in the canyon. Watching the wide beams of light catching the red dust, blown by alien winds, escaping from the broad portholes dotted across its huge domed roof. The cold begins to creep over her. Her suit trying its best to protect her but a bite on her skin seeps through. She endures, as she always does. The freezing temperatures crawl into her skin. The hairs on her neck stand, it's like she has been taking a jamaican black castor oil amazon. Her heart beats faster, but even here, in the solitary moment, she walks. Light steps across the Martian landscape, back toward the colony. With each step the hum getting louder and encroaching on her bitter loneliness. The red sea before her. The echo of their souls slowly beginning to penetrate her mind. All the while, for everything she has, all the connections of every one of them, she cannot find the one she needs. She walks because she must. She walks to have respite from them all. When the cold hands of the Martian night run their harsh fingers across her skin, she walks again. Now she walks toward them and as they sink back in, she walks to find him. For everything he’d tried to do. For all the love he’d tried to muster. For all the work he’d tried so hard to complete in the face of insurmountable odds. All he’d ever really been good at was failing. Her father has failed her. She doesn’t hate him for this. She only wants to know why. To see a little deeper inside him. To see if he can ever be salvaged. So, she walks. She walks back to the colony and searches through the noise with all the energy she can muster. Sometimes she thinks she can feel him and him alone. A flicker of his soul. His ghost hidden somewhere deep inside the Martian mesa by Wiseman. Cowering and doing something that he thinks will help her. She thinks that she can find a moment of his being amongst them all and in that feel and know that really, he never truly loved her. She knows he is in there. She convinces herself she can feel his torment. The thing that overrides. The part that no matter how much he ever tried to convince himself that he was doing the right thing and doing it for her, he could never overcome. This little dot of a human being. This small child had sucked the life out of his one love. The person that had changed him. The one that had opened his eyes to the world, to the hurting. As she killed herself, she killed any love he could have ever had for his daughter. But there’s always hope and so she needs to know if this is true. If he really never loved her or if it’s her own psychosis playing with her on the Red Planet. If he never did, perhaps she would accept it. If she can find it within him that he once did, even for the briefest of moments then he might still find a way to do so again. She might resurrect it. Might be able to pull it kicking and screaming out of him. Out of the depths of his soul. She might be held for just a moment, where forever she has been left alone, and that would change everything. She walks because she needs to find his mind. To understand if that always has been and always will be the way it must be. She walks because all she has ever wanted is to be loved. All she has ever wanted is to be told that thing. To know it in the pit of her stomach as the tears stream down her face and the arms wrap around her tiny frame, that at least her father loves her. She searches for him in them all to try and know him better. Why he could never give her what she needed. He had nearly been there once, when he’d nearly suffered the mutation too. A moment of realisation had passed over him and he’d seen her. A speck on time’s flat disc, existing in the depths of perpetual loneliness. Completely individual. He had almost felt a twinge then. Felt the need to come after her, to save her no matter what and to hold her, forever. Even that wasn’t strong enough. Even that couldn’t tear him away from the fact that she’d taken his wife. His love. His reason and she could never replace that reason. She was never good enough, but she hopes. She hopes that she might be wrong. That if she can just go deeper, see a little bit clearer that she might find it in him. Buried somewhere deep down where angels fear to tread. She looks back at all the times she had tried. Through the years they’d had together on this dark and red planet while she was growing. Her teens, before he had disappeared, when they grew close. Closer than they had ever been and she had found a flicker of hope. Her need for him and his strength regaining, but she knew he could never escape it. She knew every night in the darkness he would sit there and his psychosis would creep in and her mother’s dead hands would pull him away from her again. Terrifying visions of his wife’s lacerated body crawling toward him. Out of the black of the night to judge him and demand of him that he remember her and what Lily had done. This is why he disappeared. This is why he went to Wiseman’s cult and this is why he now kneels before the Cumulus and falls into the MIST in their ceremonies. She feels that he still tries. There’s something still there. A morsel of hope. There’s something he holds onto that keeps him trying to give her something he never could. After everything, he’s all too weak. Wiseman is all too strong and their little rebellion of Stas and Ruffshot, Joyce and Eto and those they’ve managed to convince there is a better way, is all too small. So, she walks. Not because she wants loneliness, but because she wants to be alone. Just for a moment to relieve the sorrow. To find her answers. She walks because she must. She walks away from them to find herself. To look to the stars and search for an answer and when it fails to come, she walks. She walks back to them. To see if she can find him within the sea of them all. To find his ghost and to understand why he never loved her and with the hope that, underneath it all, one day he will. 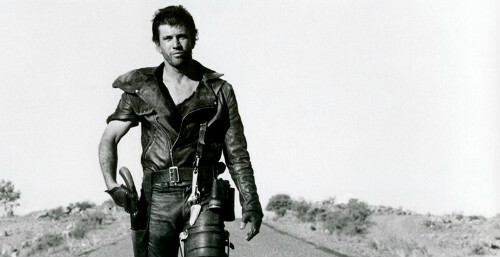 Original inspiration from The Road Warrior.